Inc.com. 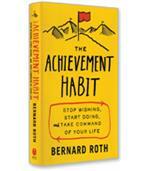 columnist Jeff Haden shows how to reframe our thinking about the relationship of motivation to success. He meets us at the beginning of any big goal we have and offers practical advice that anyone can use to stop stalling and start working on those dreams. Success is not for the uniquely-qualified, it’s possible for any person who understands the true nature of motivation. The business world operates on the assumption that every employee is capable of doing great things with the right motivation. The promise of bonuses, reward trips, promotions or bigger offices can transform regular Joes and Janes into star performers. 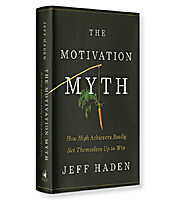 The title of Jeff Haden’s new book, The Motivation Myth: How High Achievers Really Set Themselves Up to Win, makes his position on that assumption very clear. For him, the formulaic lightning bolt of inspiration followed by the movie montage of a miraculous transformation is nothing but Hollywood magic at work. Haden likens motivation to a sugar rush that gives you a brief but unsustainable burst of energy. You may get a vivid but fleeting glimpse of success, but it quickly evaporates, leaving you facing the harsh reality of a long to-do list. The author’s premise for a successful outcome is not to wait for inspiration to get you off the couch. For Haden, the key is to start and then experience the dopamine effect in your brain of a positive step toward success, no matter how small that first step may be. If you’re planning to learn French in advance of a long-awaited trip to Paris, for example, reward yourself after learning how to count to 20. 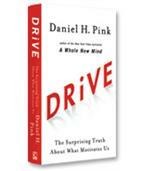 The dopamine hit of that reward will provide the motivation to move forward to the next challenge. 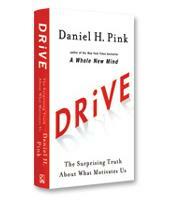 In this context, Haden proposes that motivation is internally driven. The successive chain of small victories (and their accompanying celebrations) will provide the momentum to overcome the inevitable obstacles ahead. Haden cites the example of Michael Ovitz’s career at the William Morris talent agency (before Ovitz left to found CAA, the Creative Artist’s Agency). Ovitz aspired to an executive position, but when he started in the mail room, he focused on the process rather than the goal, working longer and harder than any of his counterparts. That effort, he believed, would assure a successful outcome. Eventually, his constant presence in the office caught the attention of the agency president, who began to assign him additional tasks. As Ovitz consistently completed those tasks successfully, he was quickly promoted to assistant to the president, and he was able to leave the mail room behind within only a few months. As with most bottom lines, Haden’s insights and strategies lead to a simple and blunt conclusion. Goals and dreams are great for inspiration, but they are worthless without a plan for how to achieve them. Having a plan in place, no matter how vague, provides a starting point that will probably look like the bottom of a long climb. The point here is that everyone starts in the same place. Most will focus on how long the climb is and how uncertain it is likely to be. They will listen to their inner critic and allow the fear, insecurity and hesitation to build. This freezes any forward progress and leaves them waiting for that lightning bolt of motivation. Some may find it in vision boards or promised rewards at some distant future date, but the majority will remain frozen. 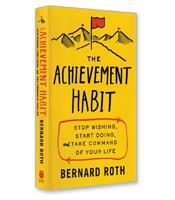 High achievers, the author proposes, will take a different approach. They’ll still feel that fear and insecurity, but they’ll push it aside and focus on the first small step of the plan. Once they feel that dopamine hit of success, they’ll be on their way.